No doubt you’ve heard of mindfulness but not everyone knows exactly what it is. The simple definition of mindfulness is to maintain a greater awareness of your thoughts, bodily sensations, feelings, and the environment around you. It’s all about being present in the current moment. 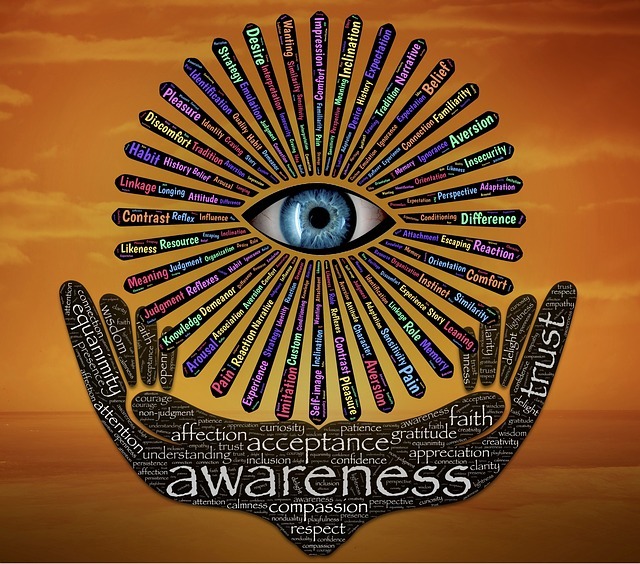 When it comes to practicing mindfulness also includes acceptance. This means that you learn to pay close attention to your thoughts along with your feelings without judging these feelings and thoughts. People are taught that there is no wrong way or right way to feel or think at any given moment. When you practice mindfulness, your thoughts will be able to focus more on what you are sensing at that very moment instead of struggling with the past or what lies in the future. Mindfulness does come from Buddhist meditation, but it has now moved into the secular world of mainstream life over the years thanks to Jon Kabat Zinn with the creation of his MBSR program or also called Mindfulness-Based Stress Reduction. He launched this type of therapy program back in 1979. Since then, there have been thousands of different studies that have shown that there are plenty of mental and physical health benefits one can receive from practicing mindfulness on their own or by participating in an MBSR program. Benefits for your body are seen just after eight weeks of mindfulness training. When you practice mindfulness meditating it can actually boost your immune system and its ability to fight off disease and illness. It can also help your quality of sleep. Your mind can also benefit from practicing mindfulness. Studies show that it can increase your positive emotions and at the same time reduce your negative ones as well as your stress levels. Some studies have shown that it has a positive effect on those who are struggling with depression. It can change your brain. Studies have discovered that mindfulness can actually increase the density of your brains gray matter. This is the section of your brain that is linked to your memory, emotional regulation, learning, and empathy. Helps you to focus better. By practicing mindfulness you’ll discover that it can help you to tune out any outside distractions so that you think more clearly. It also can help your decision making and your attention skills. Practicing mindfulness can help you foster altruism and more compassion. It trains you to be more willing to help others who might be in need. Mindfulness can also increase the activity found in your neural networks that are involved in learning how to understand the suffering of other people. It also helps to regulate your emotions and may even boost your own self-compassion. Relationships of all kinds are often enhanced when you practice mindfulness. It helps people in a relationship to feel optimistic and more accepting of each other. Mindfulness can show you how to see yourself in a different and more positive light because it gives you a much stronger sense of yourself. Mindfulness works well for businesses, parenting, teens, and helps in schools because of its ability to teach people to pay closer attention, lowers stress levels, lowers anxiety levels, increases creativity and productivity. How Does One Cultivate Mindfulness? Learn to pay attention to breathing, this is especially important when you are feeling emotions that might be intense. Notice things, this means to really notice them. It teaches you to sense at any moment all the sounds, sights, and even smells that you normally don’t pay attention to. Teaches you to be able to recognize that all your emotions and thoughts are just fleeting and they don’t define who you are. This can help you free yourself from your negative thoughts. It tunes you into your body and all its sensations. You also learn how to find small moments all during the day to help you reset your ability to focus and your sense of purpose. Mindfulness Breathing – This is probably the most common skill of all and is always found in every form of meditation. When you breathe, you simply pay close attention to all the physical sensations of your breath as you let it flow in and out. Make a Body Scan – This another simple and common mindful practice. Here you can bring all of your attention to all the parts of your body. Starting with your head and work all the way down to your toes. Raisin Exercise – This is an exercise where you use all of your senses slowly. You take a raisin and observe the raisin in detail. You start with how it feels when holding it to how it tastes once it touches your tongue. 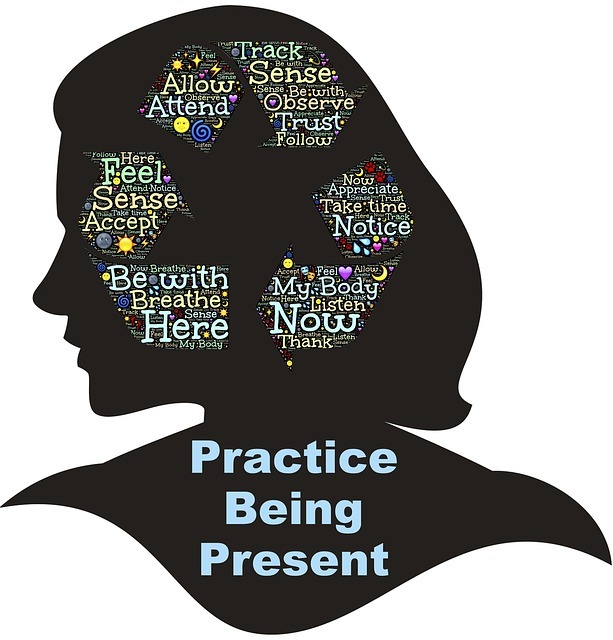 This is an exercise that is intended to help you with your focus on the present. You can also try it with all types of foods. Meditate While Walking – You don’t always have to sit still while you meditate. Walking meditation is a type of meditation that lets you focus on your body. It helps you feel every movement of your body. You can feel your feet when they touch the ground and when they lift off the ground. Walking is an activity we simply don’t pay much attention to. Mindfulness helps you to be more aware of how it feels. These are just a sampling of the different kinds of mindfulness exercises that you can perform. There are a variety of different kinds of mindful practices and they all offer different benefits. It’s important that you try different ones. This will help you find the best for you. Mindfulness by creativecommons (CC) is licensed under a Creative Commons Attribution-Share Alike 4.0 License.